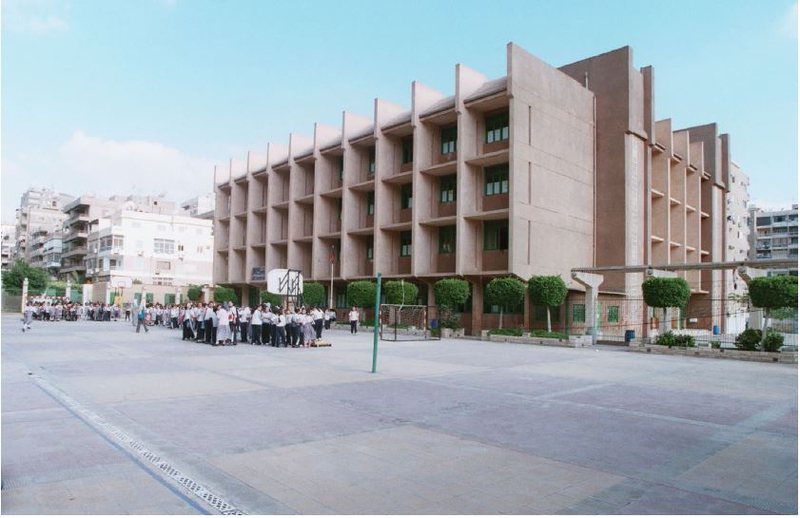 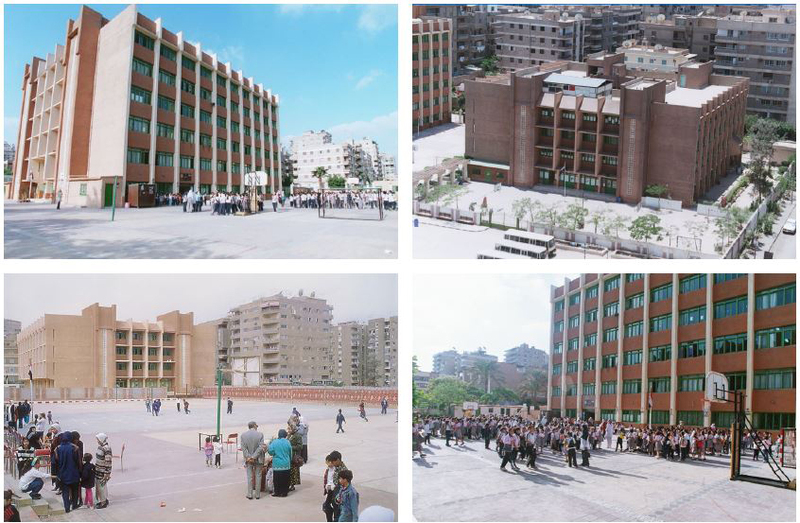 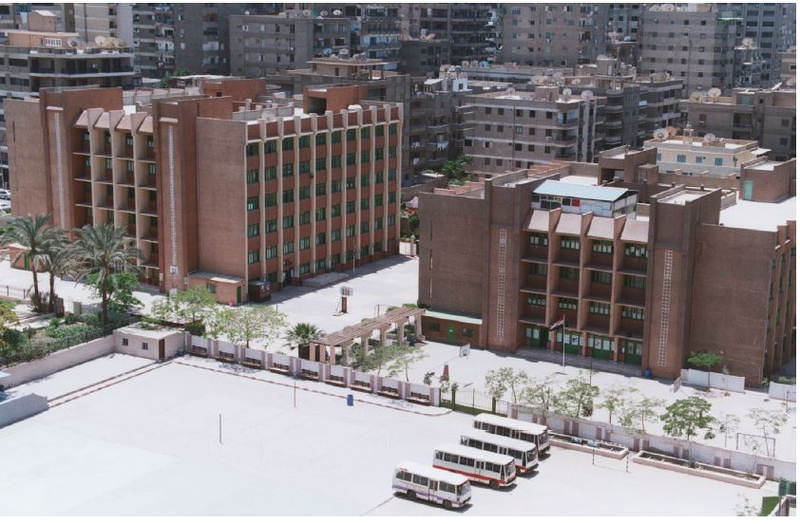 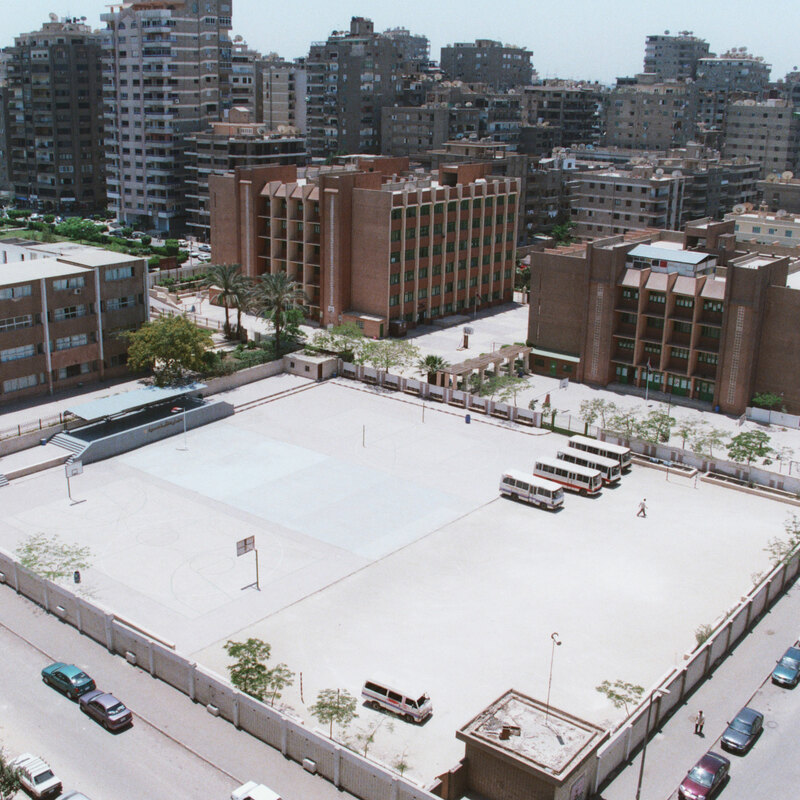 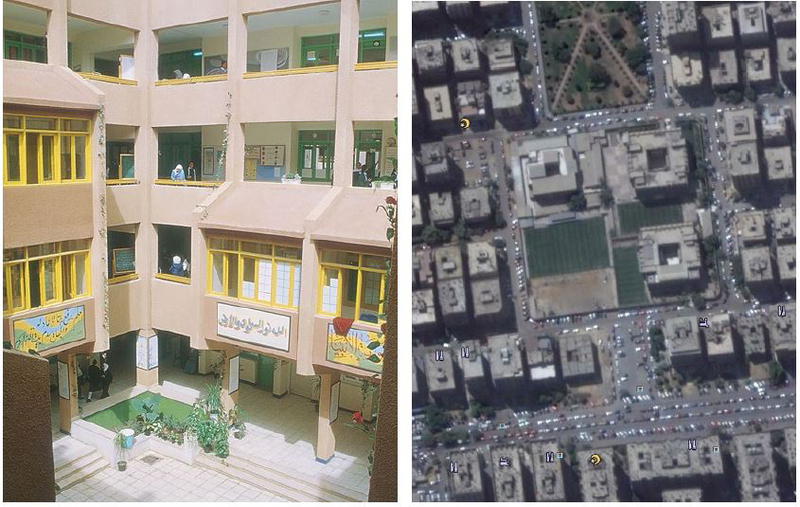 One of the most important project in HANDASSIA’s educational buildings’ history, it was designed at the time of establishing the General Authority of Educational Buildings (GAEB) in Egypt at 1991, and the project was approved by (GAEB) with license no. 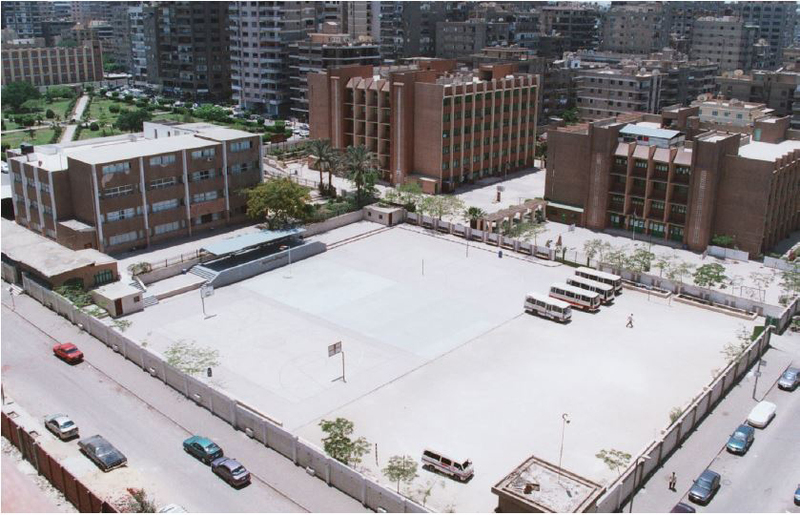 1 for private schools. 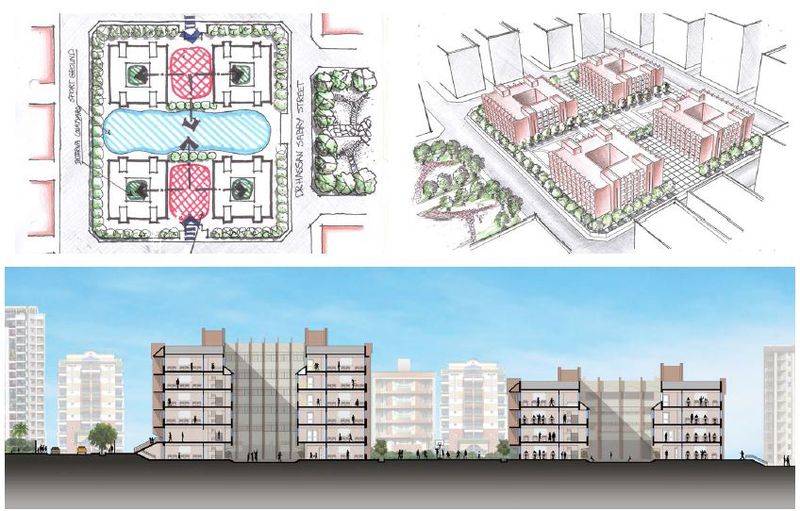 Project is located in Nasr City in Cairo on a land of almost 16 thousand sq. 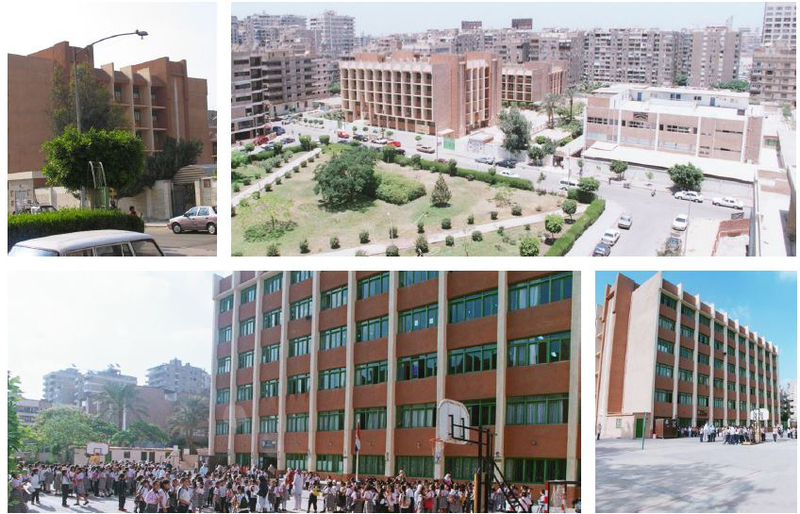 meters and with more than 2 thousand students. 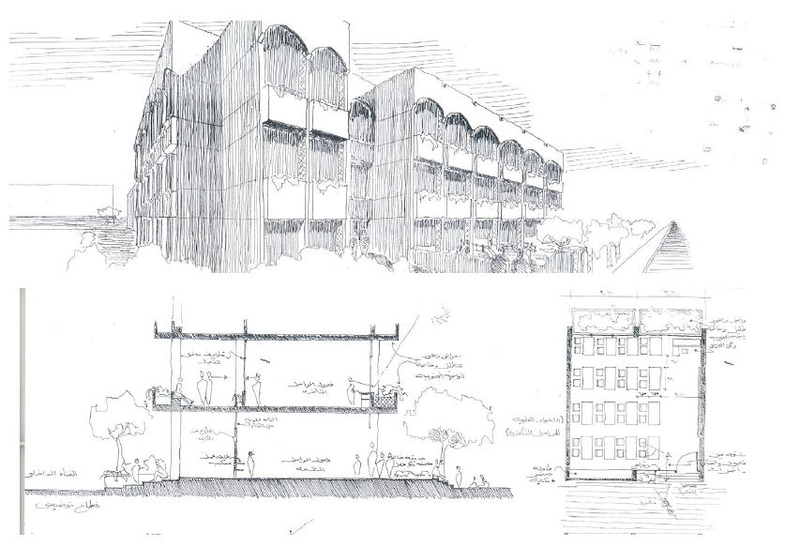 At the time we were inspired by the designs of universities with stable mass forms, together with long vertical and horizontal sun breakers that emphasized the contrast of the solid-void facades.